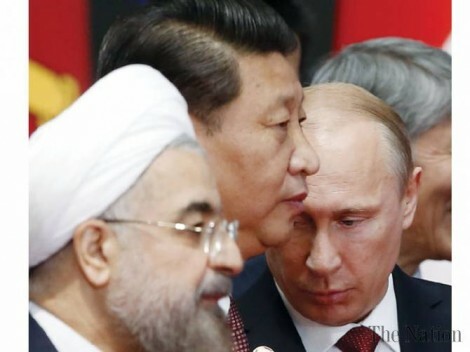 China and Russia have repudiated new US sanctions on Iran, pledging to maintain trade ties with Tehran after President Donald Trump warned countries against doing business with the Islamic Republic. “China has consistently opposed unilateral sanctions and long-armed jurisdiction,” the Chinese Foreign Ministry said Wednesday, addressing Trump’s decision Monday to reimpose sanctions on Tehran. Beijing has close economic and diplomatic ties with Tehran. It is Iran’s biggest oil customer, taking in more than 650,000 barrels per day from the country. Chinese companies are also interested in Iran’s oil and gas projects. State energy firms CNPC and Sinopec have invested billions of dollars in Iran’s giant Yadavaran and North Azadegan oil fields and eye participating in further developments of the deposits. CNPC is also about to take over Total’s stake in the giant Iranian South Pars gas project after the French company decided to leave amid US sanctions. Iran plans to increase the production potential of its oil fields by 400,000 barrels per day (bpd) in the form of 34 projects, estimated to cost more than $6 billion. On Tuesday, Russia said it was “deeply disappointed by US steps to reimpose its national sanctions against Iran” as it pledged to do “everything necessary” to protect its shared economic interests with Tehran. “This is a clear example of Washington violating UN Resolution 2231 (on the Iran nuclear deal) and international law,” the Russian Foreign Ministry said in a statement. The statement dismissed US hopes to browbeat Iran into submission through exerting fresh pressures on the country. “As long-term experience has shown, it will not be possible to gain concessions from Iran using pressure,” it said. This entry was posted in News and politics and tagged China and Russian Defend, trade ties with Iran, US sanctions against Iran. Bookmark the permalink.